The Night We Said Yes by Lauren Gibaldi is a breakup story. And not one that’s just about two people breaking up, but a breakup story about love and friendships. In Gibaldi’s debut novel, we’re introduced to the heartbroken Ella. Tired of her hometown, finished with the boys in her city, fed up with high school… she’s ready to leave. Until she meets Matt, who alters her plans with an evening of saying yes to everything her and her friends can think of. And then he suddenly leaves and severs all communication, devastating not just Ella, but the group of friends that have come to care for him. One year later, he returns, eager to explain himself and recreate the night of magic that brought them all together. The novel goes back and forth in time, from one year in the past to that first evening of saying yes, to the present, where Matt is trying to fix things. And it’s the clever narrative device that really makes the book shine. High school is an interesting time, packed full of drama and complicated relationships that, in retrospect as an adult, you realize weren’t as big a deal as you made them out to be. And from month to month, group dynamics shift, friendships change… so showing these teens and their relationships one year to the next is just fantastic. Because let’s face it, when you were a teen, you changed a lot one year to the next. You get to see how they’ve grown and the ways that they haven’t, and it’s just brilliant. The Night We Said Yes is a swoony read packed with hope and heartache, and is a really fun breakup novel about moving forward and learning to forgive. And hey, there’s a pop punk band in the book named after Pepper Pots. Awesome. 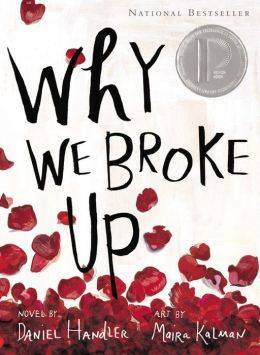 Now, speaking of breakup books, here are four more worth picking up. The Break-Up Artist by Philip Siegel: In Siegel’s The Break-Up Artist, Becca Williamson is jaded when it comes to love. That’ll happen, when you have an older sister who gets left at the altar. She can’t stand it, so instead of sitting by and watching happy couples float around her school, some of whom mistreat the single folks, she breaks them up. For cash. But what happens when the ultimate break-up artist falls for someone, right in the middle of her biggest breakup plan yet? And that someone is her best friend’s boyfriend? It’s a novel that isn’t just about love and breakups, but about friendship and moving on. The Art of Lainey by Paula Stokes: Oh, how I love a good book that introduces readers to other classics. 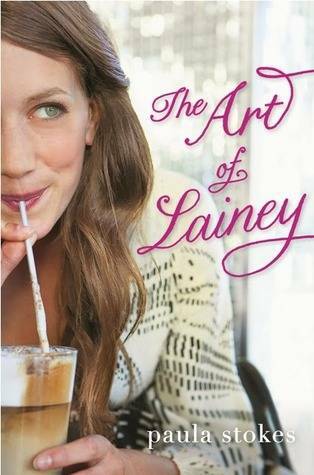 In the case of Stokes’s The Art of Lainey, she introduces teens to the heartbroken Lainey Mitchell, and the book she’s using to win back her boyfriend… The Art of War. In this breakup novel, Lainey takes the lessons she’s learning in The Art of War to gather information, persuade and manipulate, plot and scheme… and learns that maybe there’s a better way to find someone to love. Someone right in front of her. 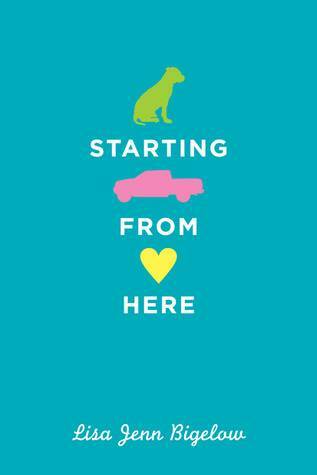 Starting From Here by Lisa Jenn Bigelow: Poor Colby. She hasn’t just been dumped by her girlfriend (who left her for a guy), but her life is full of heartbreak and broken promises. Her mother died two years ago, her dad’s a truck driver and always on the road, she’s failing classes at school… things are rough. It’s a novel about starting over, and starting over in the most unusual way… by taking care of a wounded stray dog. Why We Broke Up by Daniel Handler & Maira Kalman: This incredibly quirky read tells the story of Min and Ed’s breakup, through a really unique narrative involving a bundle of seemingly meaningless (but incredible meaningful) little trinkets. Each one holds a particular memory for the heartbroken Min, who remembers every bit of her relationship with Ed in painstaking detail, the way all high school kids seem to when a breakup happens. It’s full of lovely illustrations to accompany the story. Pick it up, and remember that heartache all over again.